The device will pose a direct threat to popular phones in the same segment. OnePlus 6 that comes with a base price of Rs 34,999 is expected to get a lot of competition from the new phone. Asus has launched the Zenfone 5z here in India. The device will pose a direct threat to popular phones in the same segment. OnePlus 6 that comes with a base price of Rs 34,999 is expected to get a lot of competition from the new phone. The Asus Zenfone 5z was first unveiled at the MWC 2018. The device smartphone will be sold exclusively on Flipkart. Flipkart had accidentally listed the smartphone one day before the official launch. The official price of the Zenfone 5z is the same as what was reported earlier. The device will be made available in three variants. The 6GB RAM, 64GB storage variant is priced at Rs 29,999. The second variant comes with 8GB RAM, 128GB of storage and is priced at Rs 32,999. The third variant comes with 8GB RAM and 256GB of storage is priced at Rs 36,999. The Asus Zenfone 5z will start selling from July 9. Launch offers include flat discounts, cheaper mobile protection and no-cost EMIs. ICICI Bank credit and debit card holders can get a flat Rs 3,000 discount on the device. Flipkart's 'Complete Mobile Protection' plan worth Rs 2,299 is being offered at Rs 499. For buyers interested in purchasing the smartphone on installments, Flipkart is offering no-cost EMIs starting at Rs 3,333 a month. Reliance Jio will offering a 2,200 cashback and 100GB data with the purchase of Zenfone 5z. To enhance the after sales service of the device , Asus will be providing free pick and drop of faulty devices, a substitute phone and invoice free walk-in. 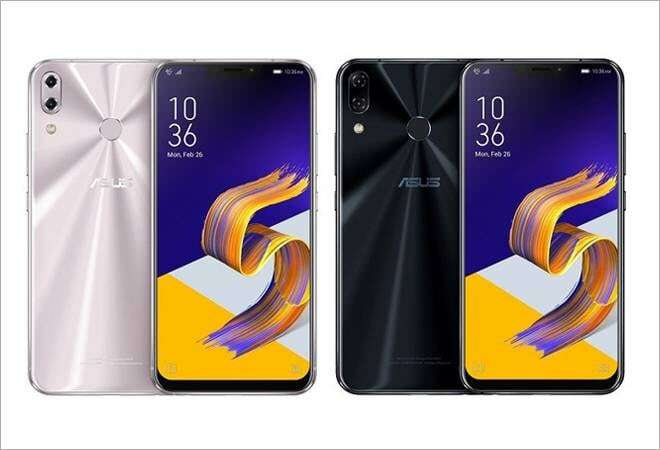 Coming to the specifications of the device, Asus Zenfone 5z comes with flagship features. The device features a Snapdragon 845 chipset assisted by Adreno 630. The device features a 6.2inch IPS LCD display with a FullHD+ Super IPS+ display covered by Corning Gorilla Glass. The phone boasts a screen to body ratio of 83.6 per cent. Like most flagships from this year, the Asus Zenfone 5z also sports a notch to house the front camera and all the necessary sensors.